i LOVE halloween! it is exactly 4 weeks after my birthday, so it was always fun for me when my mom would take me halloween shopping for my birthday. growing up, i was a WIDE variety of things: cat, bride, punk rocker (what was i thinking? ), gwen stefani. 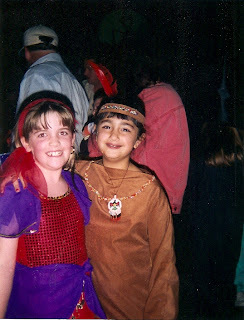 but my personal favorite costume was esmeralda from the hunchback of notre dame. 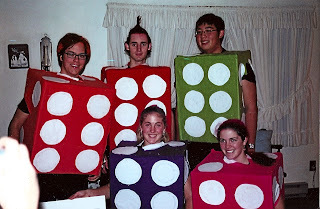 going to college wasn't any different. i still loved dressing up! i was an angel (to my roommate's devil), a baby, a flapper, and a ninja turtle. ever since i met mike, we have always done coordinating costumes. the first year when i was donatello the ninja turtle, he was splinter. last year we were thing 1 and thing 2. we really just pranced around our house in our costumes since halloween was cancelled because of a crazy snowstorm, but it was still fun to dress up! 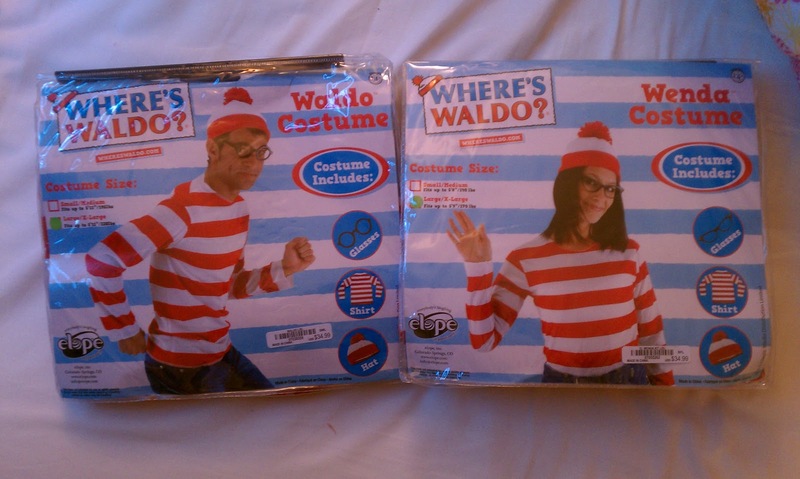 this year, we went through a variety of costume ideas: power rangers, mr. and mrs. potato head, toy story; but we settled on where's waldo. i think this is going to be a fun one. i can't wait for halloween! we already bought creepy decorations for outside our house, so all we need is the candy! is anyone else ready for halloween? So fun!! 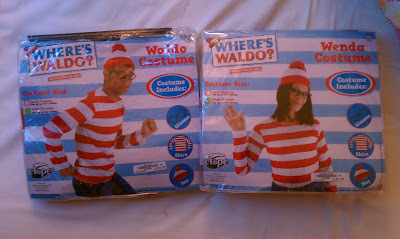 Love the Waldo theme! Can't wait to see pics!